I think I have mentioned before that one of the many reasons that I keep a food blog is an entirely selfish one. My work in food tends to be quite varied.... I prepare private dinners, teach classes, develop recipes...and I work on call for a friend. An unfortunate consequence of all of this interesting variety is that often weeks will go by before I make a recipe for a second or third time. Without regular repetition it can be easy to forget exactly how I did something for a particular recipe. (The fact that I really do cook seasonally...which makes it so that often I will go a year before making something again...doesn't help.) Keeping a blog has given me a written...and just as importantly, a photographic...memory bank of exactly how I made something. Being able to see a certain dish again...and read about what was going on in my head the first time I made it...helps me immensely—both privately and professionally. Today's post falls into this "selfish" category. I have mentioned this cake...and linked to the original recipe (which I am sharing today, unchanged from the original)...on another occasion. So in some respects, it is a redundant post. 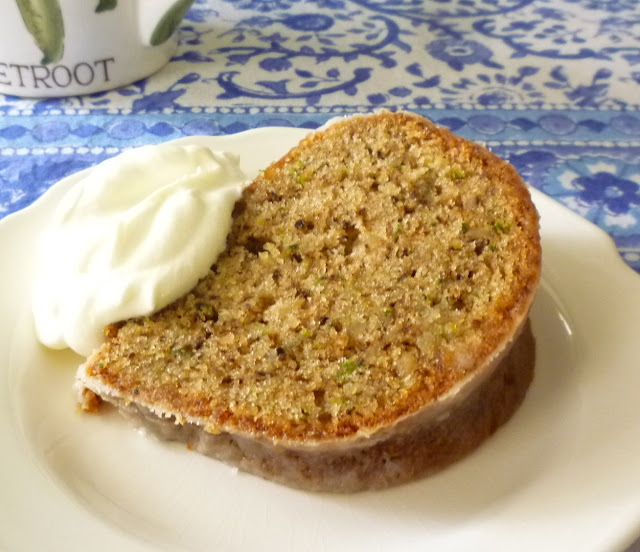 But when I pulled out this recipe to make it again this year for my "Corn & Zucchini" class, my memory of the actual nuts and bolts of the recipe wasn't as clear as I would have liked (I really just remembered how much I liked the cake). 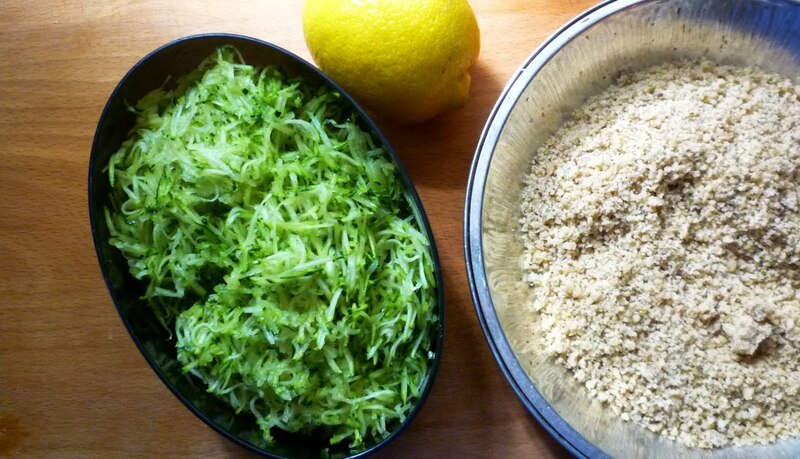 I wanted to know, for example, exactly how finely I had grated the zucchini...and what I had meant by "finely chopped" walnuts. These terms are pretty specific...and I had a pretty good idea what they meant...but there is no guarantee that I will make the cake often enough to remember these things next time... So I took a picture. In my defense, my reasons for writing a post are not entirely self-serving. I know that the pictures will help others too. Moreover, by posting it again, it will emphasize to visitors how really great this cake is. 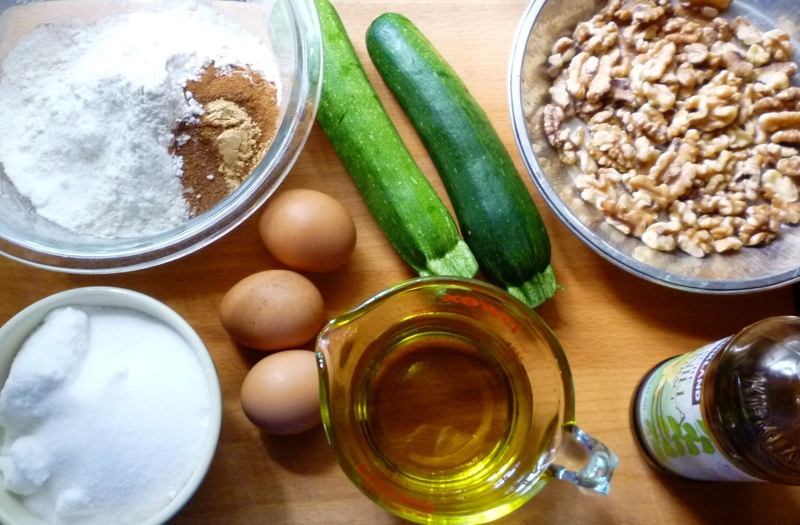 I think it is the best zucchini cake ever. As I mentioned, I can claim no credit for the recipe. It was developed by Gina DePalma (former pastry chef at Babbo) and adapted by David Lebovitz. 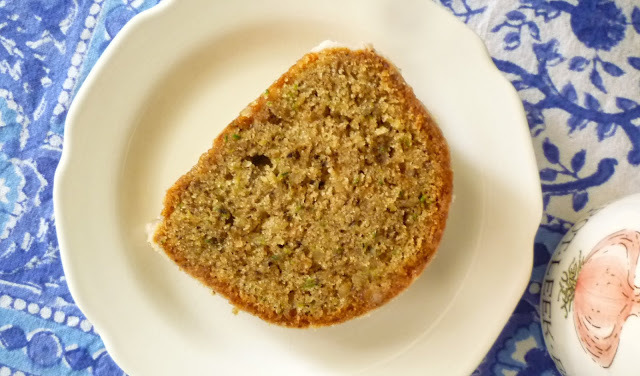 Unlike a lot of zucchini cakes that have a damp, slightly sponge-y and coarse texture, this one is moist (but not wet) and beautifully fine-grained. And it tastes wonderful. Not only did DePalma incorporate walnuts and lemon...two of my favorite zucchini companions in savory cooking, she added a healthy dose of spice (always a good idea in a squash cake—I'm convinced it's the spices that people love in pumpkin baked goods...). You should definitely make plans to make this cake. And since zucchini season is long and abundant, I'm certain you will be able to find an occasion sometime during the next couple of months for which it would be appropriate. As a matter of fact, right now would be a fine occasion: as a treat...for yourself. The cake is large, so there will be plenty to share. You can tell you family and friends that you made it for them. Only you have to know that your reasons for making the cake were (almost) entirely selfish. Preheat the oven to 350°. 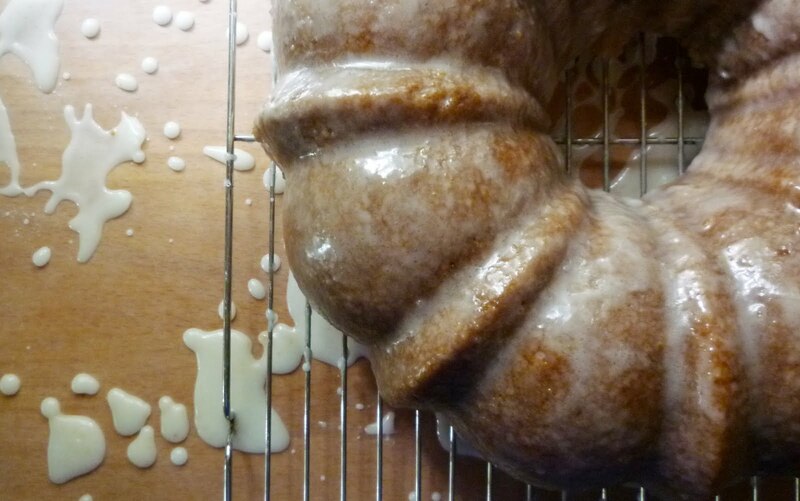 Grease a 10-cup bundt pan (see note) with non-stick spray or butter, dust with flour, then tap out any excess. Pulse the nuts in a food processor until finely chopped. Set aside. In a medium bowl, whisk together the flour, baking powder, baking soda, salt, cinnamon, ginger, and nutmeg. Set aside. In the bowl of a stand mixer with the paddle attachment, beat the eggs, sugar, and olive oil for 3 minutes on medium speed, until light and fluffy. Stop and scrape down the sides of the mixer, then beat in the vanilla. Add the dry ingredients, scraping down the sides of the mixer bowl to make sure everything is mixed in well, then beat on medium speed for 30 seconds. Stir in the chopped nuts and zucchini. Scrape the batter into the prepared cake pan, smooth the top, then bake the cake for 45 to 50 minutes, until the toothpick inserted into the center comes out clean and the cake has begun to pull away from the sides of the pan. During the last few minutes of the cake baking, make the glaze by whisking together the lemon juice, 1/3 cup (65g) granulated sugar, and powdered sugar. Let the cake cool for 10 minutes, then carefully invert it onto a cooling rack. Brush the glaze over the cake with a pastry brush and let the cake cool completely. Note: This cake can also be baked in two loaf pans. You may need to reduce the baking time a little to compensate for the smaller pans. Have been making this cake since 2011. It is fabulous and everyone asks for the recipe! The flavors are wonderful, the color of the batter using the olive oil is gorgeous, and the lemon is so refreshing.